How many times have the governor and the lieutenant governor been from different political parties? Governor Mark Dayton announced last week that he will appoint Lieutenant Governor Tina Smith to fill out the term U.S. Senator Al Franken plans to vacate in early January. Article V of the Minnesota Constitution states, "the last elected presiding officer of the senate shall become lieutenant governor in case a vacancy occurs in that office." Since 1974, the governor and lieutenant governor have been elected jointly—rather than separately--and have been of the same party. This change was the result of a constitutional amendment question on the ballot in 1972. Current Senate President Michelle Fischbach is a Republican and Governor Mark Dayton is a Democrat, raising the question—how many instances in Minnesota’s history have the governor and the lieutenant governor been from different political parties? Using lists of governors and lieutenant governors from the Legislative Reference Library and Minnesota Historical Society, Legislative Reference Library staff found five time periods when the two positions were held by individuals of different parties. 1899-1901 Governor John Lind was a Populist-Democratic-Silver-Republican when he served as governor from January 2, 1899 to January 7, 1901. Governor Lind served his entire term with Republican Lieutenant Governor Lyndon Smith although Lieutenant Governor Smith’s tenure extended until January 5, 1903. 1905-1909 Two Republican lieutenant governors served under a Democratic governor. Governor John A. Johnson served from 1905 until his death on September 21, 1909. Governor Johnson’s two Republican lieutenant governors were Ray W. Jones (January 5, 1903 to January 7, 1907) and Adolph O. Eberhart (January 7, 1907 to September 25, 1909). 1915 Democratic Governor Winfield Hammond’s brief, one-year tenure as governor (January 5 to December 30, 1915) was in tandem with Republican Lieutenant Governor J.A.A. Burnquist. Burnquist began serving as lieutenant governor two years earlier on January 7, 1913. Governor Hammond’s death on December 30 elevated Burnquist to governor and Sen. George Sullivan, also a Republican, to lieutenant governor. 1936-1937 Farmer-Labor Governor Hjalmar Petersen served from August 24, 1936 until January 4, 1937 with Republican Lieutenant Governor William B. Richardson. The pair were elevated to their positions due to the death of Governor Floyd B. Olson. William Richardson was not sworn into the position of lieutenant governor and served concurrently in the Minnesota Senate. Although Hjalmar Petersen served as a Farmer-Labor governor, he ran for other offices under different parties. Before he ran for the Minnesota Legislature he had been a member of the Republican Party. Later in his career, he was an unsuccessful candidate for the Republican Party endorsement for governor in 1946 and an unsuccessful candidate for the Democratic-Farmer-Labor endorsement to run for the U.S. Senate in 1958. 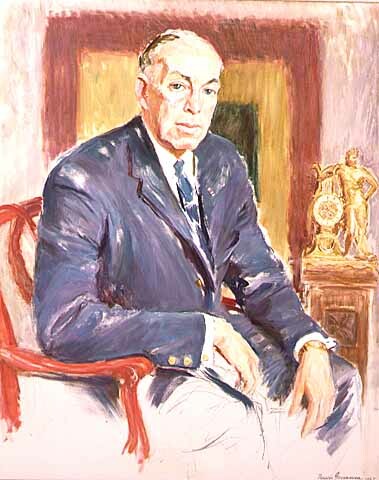 1961-1963 From January 3, 1955 until January 8, 1963, Democratic-Farmer-Labor Lieutenant Governor Karl Rolvaag served under two governors--one of a different party. 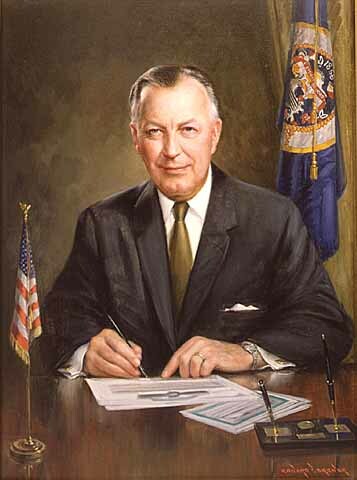 Rolvaag first served under fellow DFL Governor Orville Freeman from January 5, 1955 to January 2, 1961. He then served under Republican Governor Elmer Andersen from January 2, 1961 until January 8, 1963. The gubernatorial recount kept Republican Governor Elmer Andersen in office between January 8, 1963, when DFL Lieutenant Governor A.M Keith took office, and March 25, 1963, when Karl Rolvaag was deemed the winner. Once again, the governor and lieutenant governor were of the same party. See the Library's President and President Pro Tempore of the Minnesota Senate list for other instances of Presidents of the Senate becoming lieutenant governors through succession. 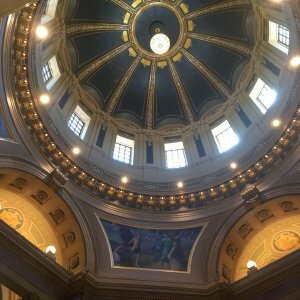 See the Smart Politics blog post, Minnesota On Eve of Rare Governor and Lieutenant Governor Partisan Split, for an analysis of the amount of time the top two constitutional offices in Minnesota have been occupied by members of different political parties. Minnesota has, at length, been permitted to take her place in the Union “upon equal footing with other states”. Congress, by a solemn act of legislation, approved by the President, has recognized her as a sovereign and independent member of the Confederacy—free, henceforth, from the trammels of Territorial vassalage, and bound by no allegiance to any earthly power outside her own limits, except to the Federal Union, to the extent prescribed by the Constitution of the United States. --Honorable H.H. Sibley, Governor of the State of Minnesota. Message to a joint convention of the Legislature, June 3, 1858. But, while it is a subject of congratulation that Minnesota is now a State in the Union, she has just ground of complaint that her admission has been so long delayed. … For this state of things Congress is responsible. Having followed the course pointed out to us with scrupulous exactness, we had organized our State Government … and we presented ourselves to the National Legislature with full confidence that the pledges made us would be faithfully redeemed. How was our application received? Our Senators and Representatives were repulsed--our expostulations were unheeded—and the humiliating spectacle has been presented to the world… simply because it subserved the purposes of Congressional politicians to allow her to remain suspended, for an indefinite period, like the fabled coffin of the false prophet, between the heavens and the earth. Whew! It’s good to be reminded that statehood didn’t just happen. It was the culmination of years of hopes, dreams, hard work, anger, frustration, and persistence. Today, May 11, 2017, we celebrate that historical event—and the unbroken bond that links today’s Minnesotans and today’s state government with those first citizens of Minnesota as they celebrated statehood on that Spring day in 1858. The Minnesota Legislature has passed a presidential preference primary law three times; all were repealed. Four presidential preference primaries have been held. 1913 - Governor Eberhart promoted the presidential primary in his inaugural speech in 1913, and the Legislature passed a law that year, Chapter 449. Two days before the election, the Duluth News Tribune wrote about the upcoming contest, including "The crazy quilt presidential primary has befuddled everybody from the rummy to the justices of the Supreme Court." In 1947, former Morning Star Tribune reporter Charles Cheney recalled the primary in The Story of Minnesota Politics: Highlights of Half a Century of Political Reporting. "Minnesota tried the presidential primary once, in 1916, and that was enough. It was a lot of grief and expense.... The 1917 Legislature repealed the presidential primary freak, and few tears were shed." 1917 - The law was repealed, Chapter 133. 1949 - A presidential primary was established by Chapter 433, approved April 14. G. Theodore Mitau wrote about the primary in his 1970 version of the textbook Politics in Minnesota. "Stassen had led in the Minnesota Republican presidential primary, and most of the state's convention delegates were officially pledged to him. But a write-in campaign for Dwight D. Eisenhower, launched just a few days before the state primary, had resulted in what came to be called the "Minnesota miracle." With almost none of the advance publicity Stassen had enjoyed, and without the approval of the national Eisenhower organization, the campaign was phenomenally successful; 108,692 voters took the trouble to write in Eisenhower's name on the ballot, while Stassen, whose name was printed thereon, received only 20,000 more votes, 129,076." 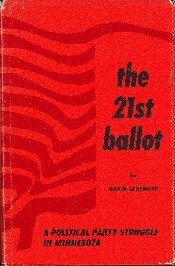 Minnesota Politics and Government, a 1999 textbook by Daniel Elazar, Virgina Gray and Wyman Spano, explained: "In the 1956 presidential primary the leaders of the DFL tried to deliver the state for Adlai Stevenson by virtually dictating to the rank-and-file DFLers that they vote for him in the name of party unity. The spontaneous reaction of the voters was to give Estes Kefauver the victory, a message pointed toward Hubert Humphrey." See also: "Primary History '56 free-for-all contest had it all," by Jim Parsons, Star Tribune, Jan. 19, 1992. Entire chapters were devoted to this primary race in Coya Come Home: A Congresswoman's Journey by Gretchen Urnes Beito (Los Angeles: Pomegranate Press, 1990) and Hubert Humphrey: A Biography by Carl Solberg (St. Paul: Borealis Books, 2003). 1959 - The presidential primary law was repealed, Chapter 67. Iric Nathanson wrote about the 1952 and 1956 primaries in a 2008 MinnPost article, "Political mischief: Minnesota's 1950s experiment with presidential primaries." About the repeal, he wrote, "The mainly Republican conservatives controlled the state Senate, and they moved first to vote repeal with only minimal debate. But repeal was more controversial in the House, where the liberal caucus, composed of DFLers, was in control. There, a repeal vote was delayed when primary supporters, many of whom had backed Kefauver in 1956, pushed unsuccessful to conduct one more direct primary in 1960 before scuttling the 1949 law entirely. But now DFL leaders were concerned that a 1960 primary, which permitted cross-over voting, could embarrass Hubert Humphrey and his bid for the 1960 presidential nomination." 1989 - A presidential primary bill, authored by Sen. Ron Dicklich, passed the Senate 48-16, and then the House 117-10, Chapter 291. 1991-1992 - The House and Senate voted to repeal the presidential primary, but Governor Arne Carlson vetoed the bill. His veto message described his support for a presidential primary. The Senate voted to override the veto, 56-9, but the House failed to override the veto, 77-49. Veto page information. The primary remained in place. (Background: "The $4 million beauty contest: Primaries and caucuses 1992: Power to the people, sort of," Roger Swardson, City Pages, February 26, 1992. 1992 - The primary was held on April 7, 1992. Winners: DFL, Bill Clinton; IR, George H. W. Bush. (election results) (Background: "Primal yawn: Nation, and most state voters, ignored controversial primary," by Dane Smith, Star Tribune, April 9, 1992. 1999 - The presidential primary law was repealed. Chapter 250, Article 1, Section 115. 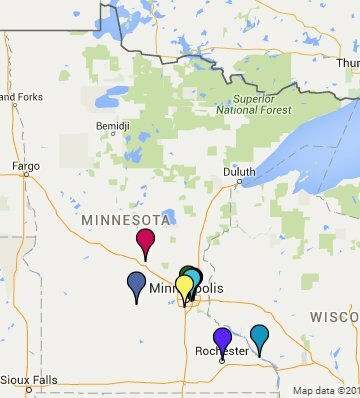 2016 update - Minnesota will move from a presidential caucus to a presidential primary for the 2020 election, Chapter 162. Dr. Eric Ostermeier wrote an informative article in his Smart Politics blog recently, "A Brief history of presidential primaries." 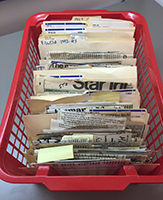 The Library has additional sources of information on the four Minnesota presidential primaries, including many news clippings on the 1992 primary and discussion of the issue during that decade. Former state legislator, Minnesota House Speaker, and U. S. Congressman Martin Olav Sabo died yesterday. Library staff remember Sabo as a user of the Legislative Reference Library through the years. But in particular, we remember him fondly for a visit to the Library when he and former Representative Tom Berg came bearing wonderful pastries! 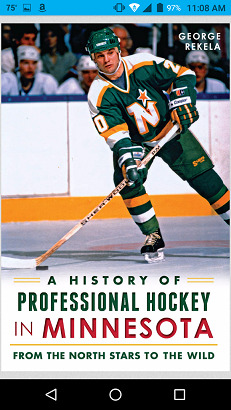 They had collaborated with several former legislators and staff to write the book, Minnesota's Miracle: Learning From the Government That Worked, by Tom Berg. Shortly after the publication of the book, they brought pastries to thank Library staff for help with all of the research. We were pleased to be given credit in the book – and honored to receive a visit from the two of them! Governor Mark Dayton's State of the State address is scheduled to be given at the University of Minnesota's McNamara Alumni Center on March 9, 2016. State of the State addresses are generally held in the Minnesota State Capitol, but that seemed an unlikely location this year given that most of the capitol building is closed for restoration. It won't be the first time a governor has delivered a State of the State address away from the Capitol. It's been held elsewhere eight other times--twice in Bloomington, twice in Rochester, once in St. Cloud, Hutchinson, and Winona, and once at the Governor's Residence. All other State of the State addresses appear to have been held at the State Capitol. The Minnesota Constitution requires the Governor to address the Legislature each session, but as far as we can verify, Governor LeVander's 1969 message to the legislature was the first to be titled "State of the State." The Library has collected most gubernatorial addresses since statehood: Gubernatorial Addresses to the Minnesota Legislature "State of the State" and Inaugural Addresses, 1857-present. Longest Serving House Members Ever! On July 13, 2015, Representative Phyllis Kahn and Representative Lyndon Carlson will surpass former Representative Willard Munger's record of 15,532 days as the longest serving House members in state history. 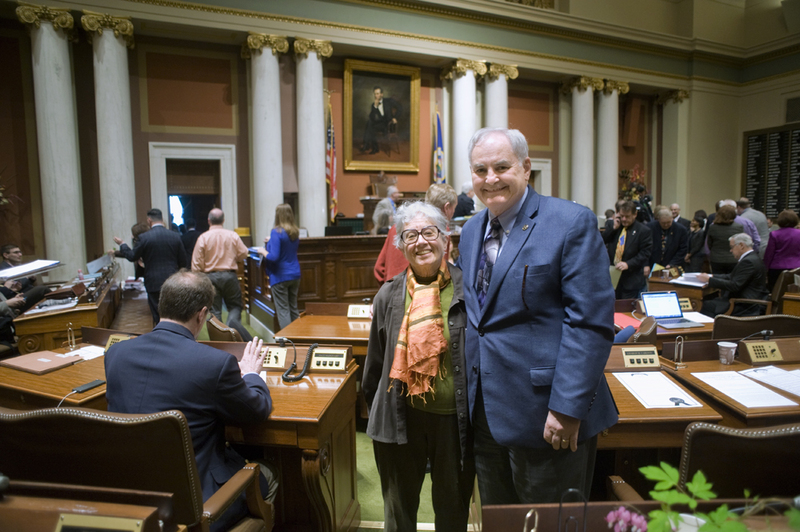 Both legislators began serving in the Minnesota House on January 2, 1973. Three Minnesota legislators served even longer with a combination of House and Senate service. Rep. Kahn and Rep. Carlson may surpass those records should they continue to serve into 2017. Rep. Kahn and Rep. Senfronia Thompson of Texas are tied for the second-longest serving female state legislators in the nation, according to Katie Fischer Ziegler, Program Manager of the Women's Legislative Network of NCSL. It'll be tough to beat the longest serving female legislator in the nation--Rep. Brynhild Haugland served for 52 years in the North Dakota House, from her election in 1938 until her retirement in 1990. And even tougher to beat the longest serving state legislator--Senator Fred Risser has served in the Wisconsin Legislature for 58 years. Thanks to Tom Olmscheid for the use of his photograph of the two legislators taken during the 2015 legislative session.